I'm dying over this first backsplash. 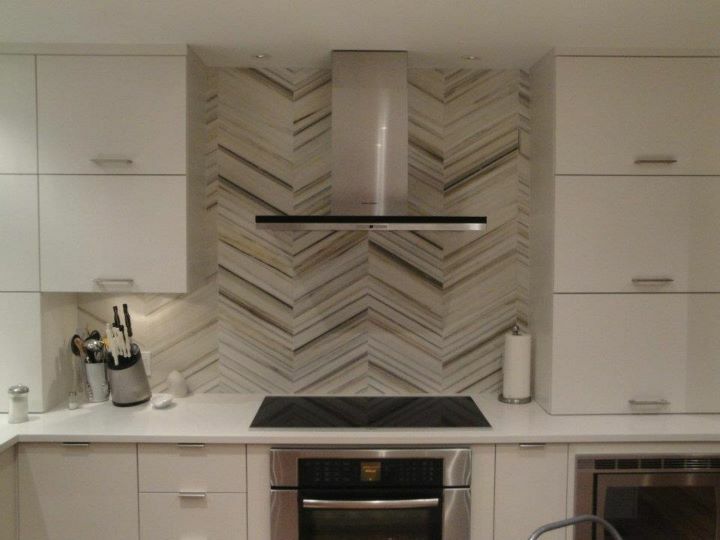 The tile is from the Helsinki Collection by Walker Zanger and is set in a Chevron pattern. The Helsinki tile is made from two different marbles that are exclusive to Walker Zanger, Winter Mist & Silver Dusk. 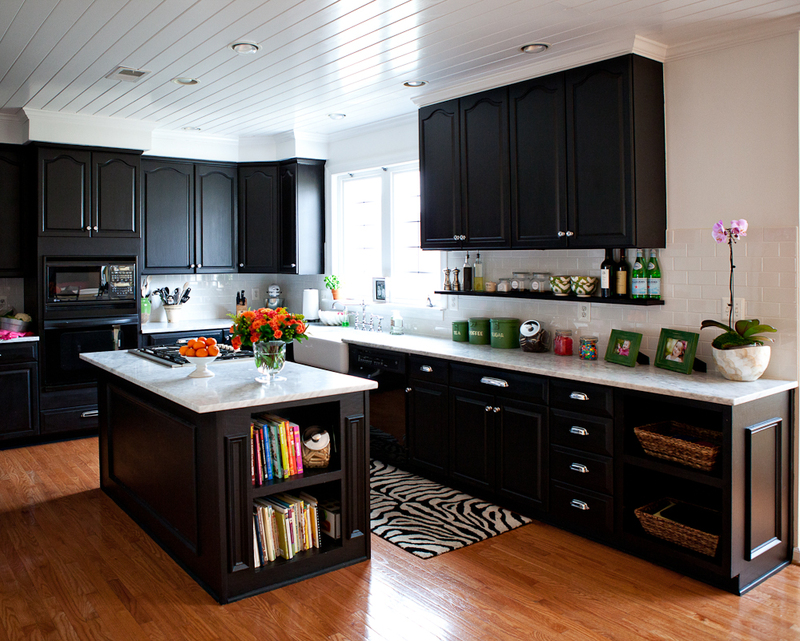 The kitchen below was in Colorado Homes & Lifestyles Magazine, it was their 2011 Kitchen of the Year. Notice how the tile goes floor to ceiling. Here's a close up of that beautiful tile. It's from Ann Sacks. 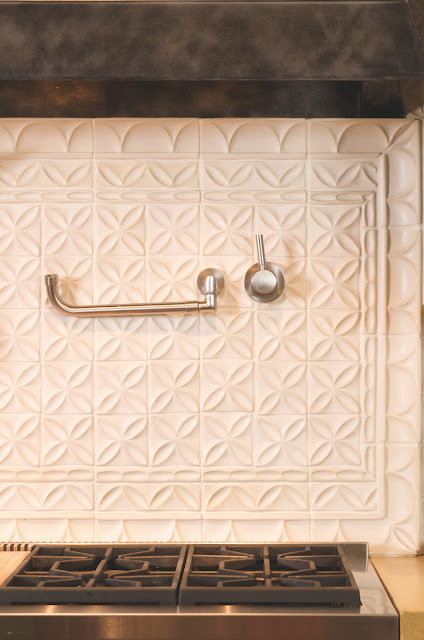 Last is a simple, white subway tile. It's perfect with the Carrara marble countertops. I've said it a million times, white subway tile is a fantastic kitchen backsplash choice. Classic & neutral, you can't go wrong with that. Go here to see Before pictures of this kitchen, it's quite the transformation!